This Vented Tailgate allows the Fifth Wheel Hitch access to the without causing any damage to the truck bed. 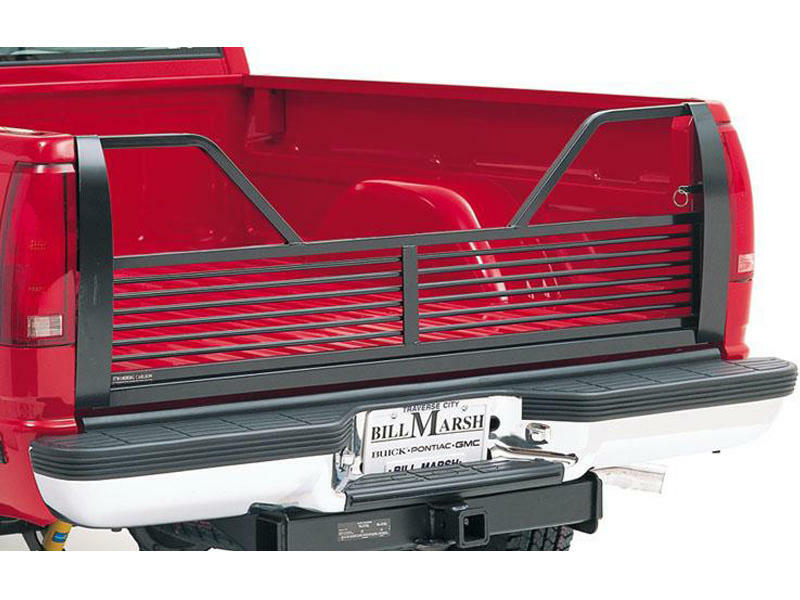 Made of heavy-duty steel tubing, the open design improves rear vision and reduces drag in the truck bed. For 2008 and new Ford trucks that have a torsion bar built into the Ford gate, a pivot tube insert for the driver side of the gate is required. Please Contact Customer Service. Fits new body style pickups only. Will not fit 1997 old body style. Light weight, aerodynamic design that actually improves gas mileage. Made of heavy-duty steel tubing. Allows access to truck bed for fifth wheel hitch.